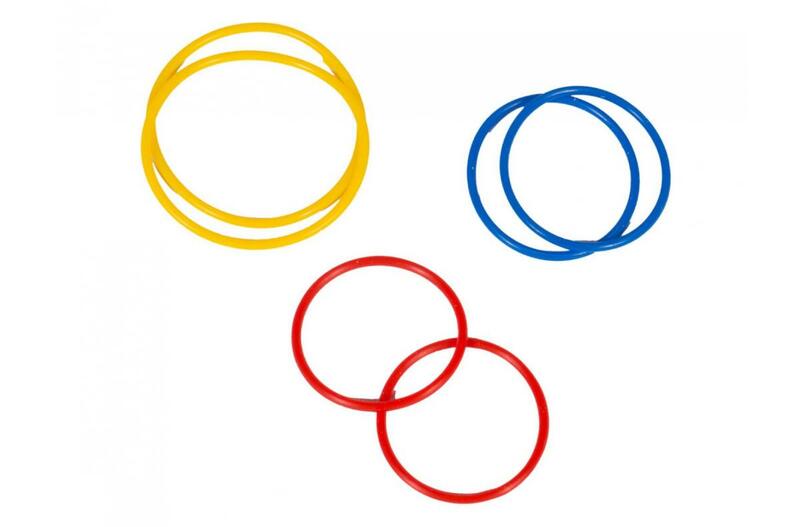 Este pack cuenta con cuatro bandas de goma en blanco, rojo, azul y amarillo para LEGO MINDSTORMS Education EV3 Expansion Set (ref. 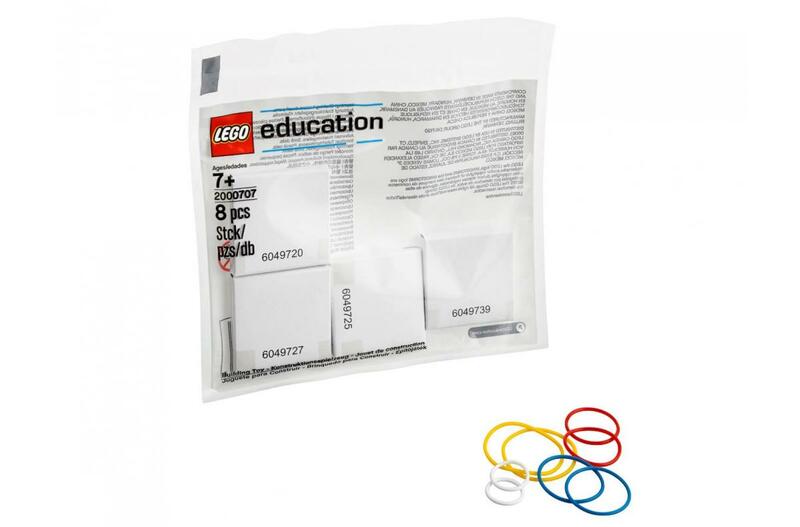 45560), LEGO MINDSTORMS Education Base Set (ref. 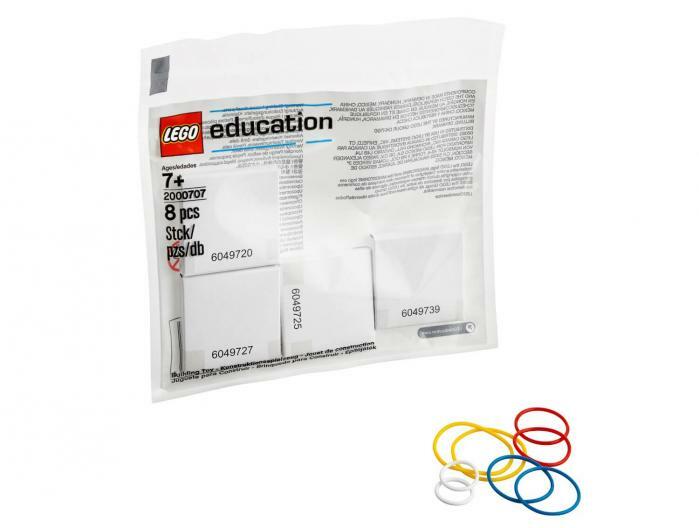 9797), LEGO MINDSTORMS Education Resource Set (ref. 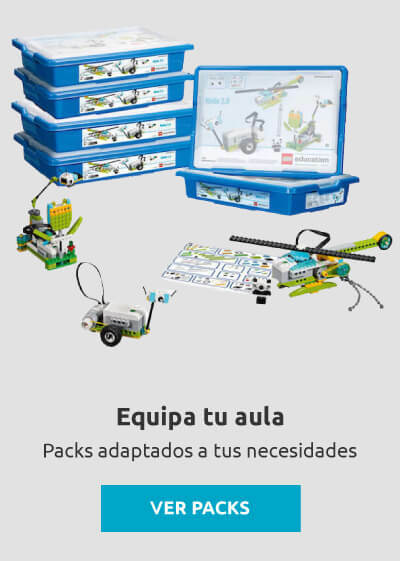 9695), Simple & Powered Machines Set (ref. 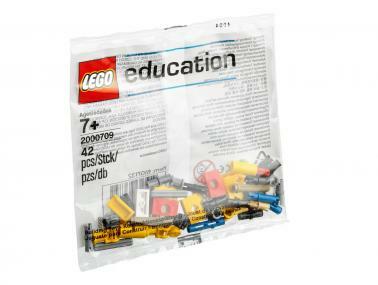 9686), LEGO Education WeDo Construction Set (ref. 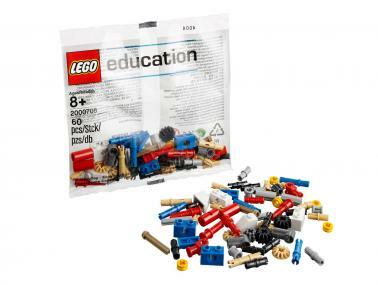 9580) y LEGO Education WeDo Resource Set (ref. 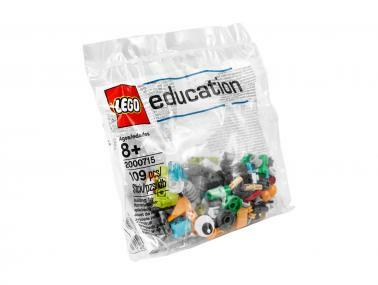 9585).